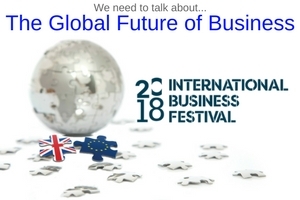 The UK will host the world's biggest business event in 2018, the International Business Festival, featuring 50 major events, nine high-growth industry themes, 200 world-class speakers and countless opportunities for business. COBCOE is the International Engagement Partner for Europe. The COBCOE conference will take place on the opening day of the festival, hosted in partnership with HSBC. Speakers will include senior representatives of the UK Government, senior business leaders and diplomats from across Europe. It will investigate the threats and opportunties that Brexit brings and the UK's role as a springboard to global markets. Entry to the festival is free for non-UK residents and entry for the COBCOE conference is free, which also provides access to the whole festival for all nine days. The festival will feature an international marketplace, festival incubator, TED style talks from leading business minds, an innovation hub and brokered business meetings to make new deals happen. If you’re looking to shake up your business, access new markets, grow, develop, innovate and network, the 2018 International Business Festival offers plenty of opportunities. It all take place at Exhibition Centre Liverpool, a state-of-the-art event complex on the city’s picturesque waterfront. There will be a rich and varied cultural programme for delegates to enjoy while in Liverpool – a former European Capital of Culture. The festival is sponsored by the main partners HSBC, DWF and British Airways. Media partners are BBC Worldnews and BBC.com. If you would like visibility for your company at, before and after the COBCOE conference and the possibility of speaking on a panel, COBCOE Event Partnerships are available.